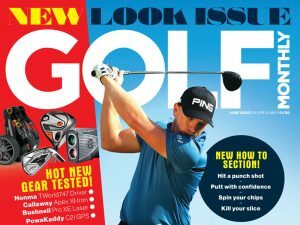 Golf Monthly has teamed up with Nike Golf to offer readers a fantastic opportunity throughout the month of December. Every day we have a dozen Nike One Platinum Golf Balls to give away – all you have to do to win this daily prize is post a course or equipment review on the Golf Monthly website. It’s a fantastic opportunity to tell us your thoughts on the latest golfing gear and the courses you have played. And the prize giving doesn’t end there: at the end of the month, every reviewer’s name will go into a prize draw with the first name drawn winning a superb set of Nike Victory Red irons, custom-built to your specification. The second name will win a set of Nike Victory Wedges, with the third a Nike Extreme Carry Bag. We want your reviews, whether it is golf courses, equipment, or both! You can post as many as you want! The more you write, the better your chances of winning. How do we want them? Simply post your review, or reviews, in the comments box at the foot of the relevant Top 100 Course or Equipment review page. Or, to make life even easier, you can post your reviews in the comments box below. Just make sure you title the course or piece of equipment you are writing about. Don’t worry, your reviews will not be missed out. What sort of review do we want? On any course or any piece of equipment. This is your review, so you are free to comment on what you want. However, if you need some direction, the style on the St Enodoc Course Review is worth noting. When can you post your review? Simple: every day throughout the month of December. Feel free to get some practice in beforehand, but you can only win with reviews posted from December 1st to 31st. Please note all reviews posted are approved before appearing on the site. Nike VR irons available in left or right handed with steel X/S/R flex shafts and graphite X/S/R/A/W shafts. Nike VR split cavity available in left or right hand with steel X/S/R flex shafts. Nike VR TW blades only available in right hand steel with XS/S/R flex shafts. The Nike One Platinum is the ball used by the best player in the world, Tiger Woods, as well as by European Tour stars such as Paul Casey and Richard Finch. The four-piece multilayer design is created using the latest golf ball technology. The core is softer in the centre and firmer towards the edges to help reduce excess spin and increase distance on long shots. The outer mantle and soft cover are designed to provide spin on shots into the green and improve feel when putting. Nike’s Victory Red series irons were exclusively revealed in the November issue of Golf Monthly and received rave reviews. The Victory Red irons are full cavity models made from soft steel and provide high levels of forgiveness. The Victory Red Forged Split Cavity set offers a blade-like appearance and feel, but with added forgiveness. The cavity design should produce a higher ball flight than the blade. Tiger Woods will use the Victory Red Forged TW Blades on his return from injury. Tiger provided Nike’s designers with feedback when creating the clubs. The Xtreme Elements bag includes an exoskeleton frame designed with the help of a specialised bike company, which makes it incredibly light. It is fitted with a breathable-cushioned double strap.